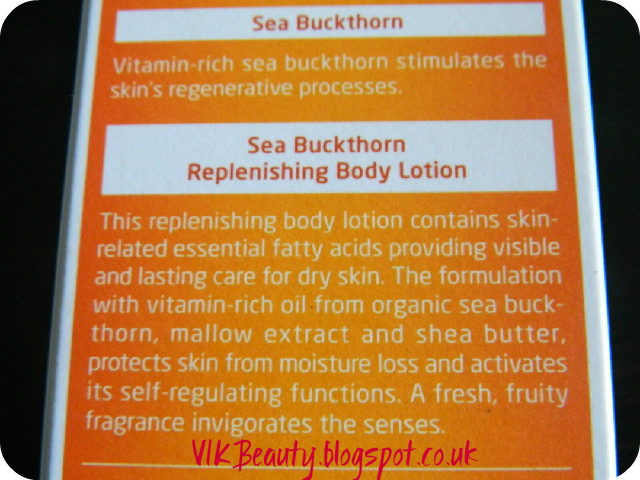 The Sea Buckthorn Replenishing Body Lotion (*) by Weleda is a 100% organic body lotion for dry skin. Weleda body lotions contain pure plant oils derived from sun-ripened seeds and fruits, which are full of energy and active ingredients. The plant oils are absorbed by the skin and stimulate its natural regenerative process. 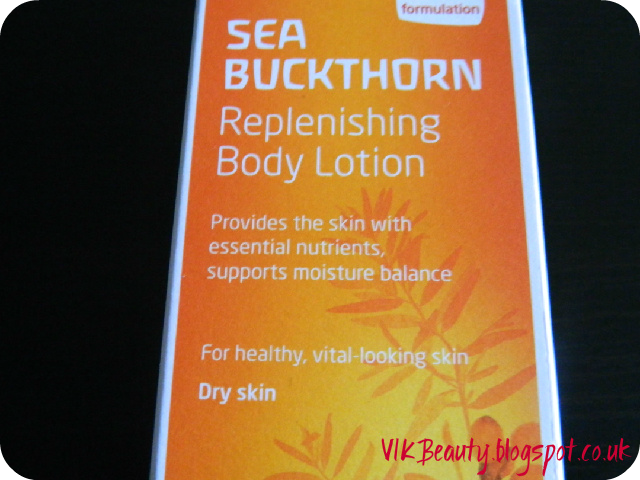 Sea Buckthorn helps protect the skin from UV radiation and free-radical damage associated with premature signs of ageing. The body lotion has a fresh citrus fruity fragrance. I'm not normally a fan of fruity fragrances but like the fact that it isn't overpowering. Once it has been absorbed into the skin, it is not as strong. The lotion also contains shea butter. 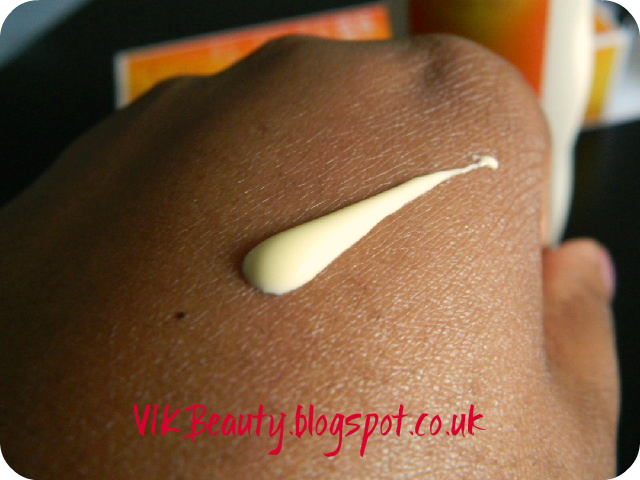 Some of my readers may know that I do love my rich moisturisers. I like the feeling of knowing that my skin has been moisturised. 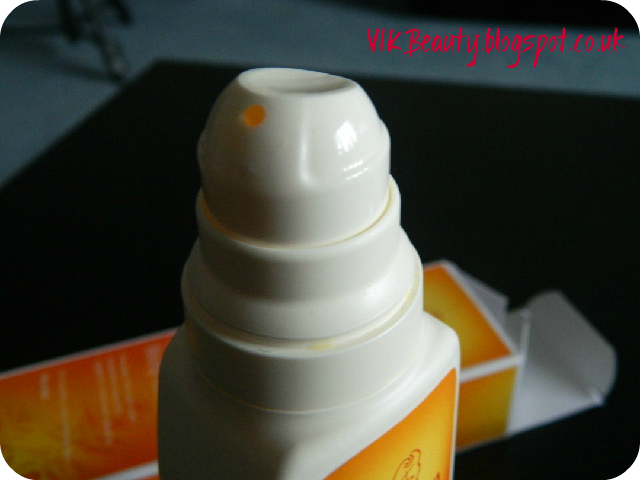 This lotion is relatively rich and gets absorbed into the skin very quickly. It doesn't leave your skin feeling, clammy or sticky. I do wish it was a bit thicker though. The body lotion retails at £15.95 for 200ml. 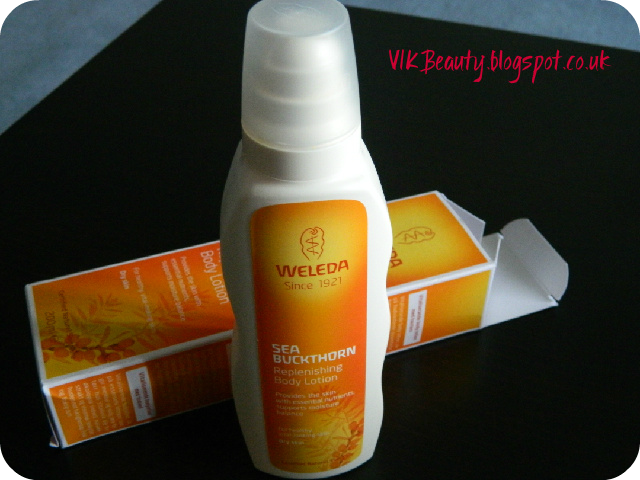 You can purchase it from the Weleda site, click here. It has a great pump/dispenser which doesn't make a mess and leaves the bottle looking clean. It is pricey but I guess you have to consider that all the ingredients are 100% natural. I think if it was a bit richer, I would consider purchasing it. This product is also suitable for vegans. Have you tried any products from the Weleda range? LUSH ~ It's Time To Have Some FUN! Leather Gloves ~ My Picks!